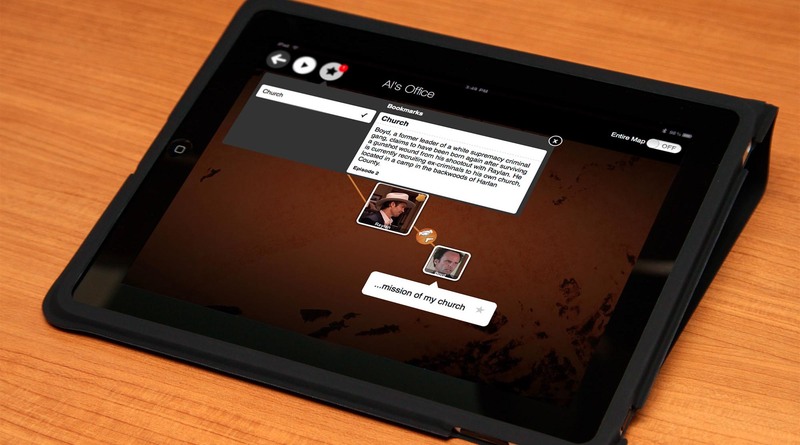 A second-screen companion app to support viewers in following a densely populated storyworld, with prototype based on the FX Series Justified. 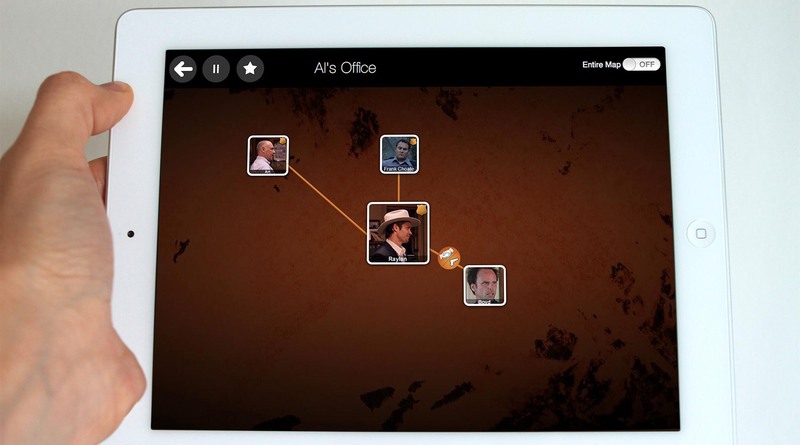 The iPad displays a map of the relationships among the many characters, grouping them geographically as they appear in the story without any spoiler revelations. When past events are referenced on the show, the story map presents annotations describing each event to help new viewers remain immersed in the show. We built a synchronized character map that supports navigation of story threads across episodes. It provides navigation patterns and auxiliary information streams to reduce confusion and increase immersion in the story. 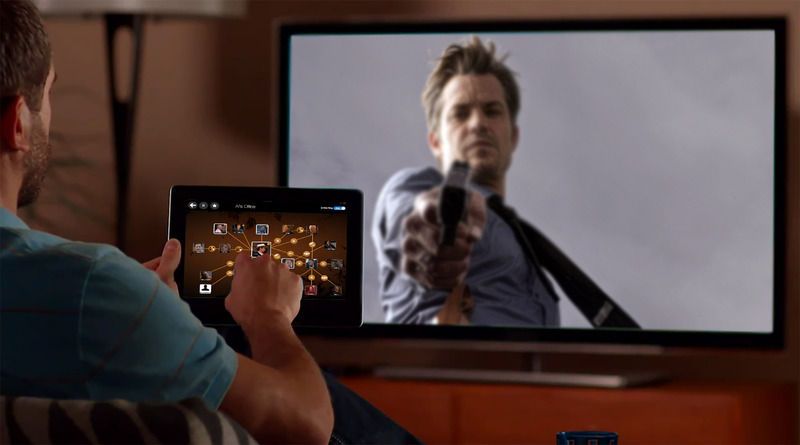 The app syncs with the show, providing viewers with relevant information during moments of curiosity. Tapping on characters provides further background about how they are involved with key events through the show. We use lines and iconography to describe the relationships between characters. Tapping on these icons displays clips describing these relationships, providing context about how they developed over the course of the season.